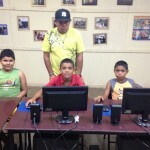 Computer Learning Centers - The Fund for New World Development, Inc. 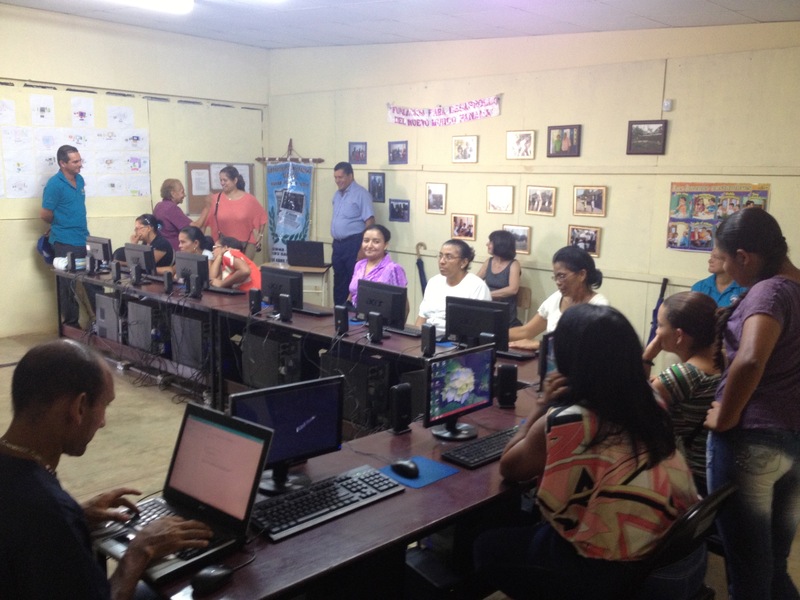 Both computer skills and ability to speak English are required for many of the jobs in Panama today. La Laguna had no access to computers or the internet, and no opportunities to learn English. 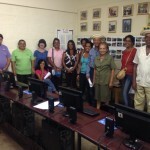 The Foundation first secured the assistance of the Panamanian vocational training agency, INADEH, to provide basic computer training courses to its residents. 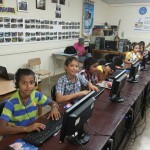 Meanwhile, the Foundation worked with MEDUCA, the Panamanian Department of Education, to establish a computer lab in a vacant room in the local school. The Foundation hired a local computer technician, bought ten computers, a printer, desks, server, and all necessary related equipment. The Foundation also purchased and installed Rosetta Stone software for the teaching of English with the computer program, for use by students, teachers and adults. 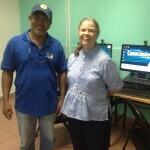 Once everything was installed and running, the Foundation hired Horacio Prado from La Laguna as the Computer Learning Center administrator. The Center opened in the spring of 2012. Ludovina Prado joined Horacio as his assistant in 2013. 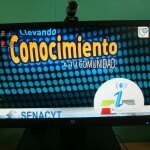 In the spring of 2013, the Foundation partnered with SENACYT, the government agency in charge of spreading internet coverage throughout Panama, and became a government-sponsored Infoplaza. In 2016, INFOPLAZAS, AIP separated from and now operates independently from SENACYT, and provides support and equipment, but no funding to the Infoplazas. Our model is known as a “Computer Learning Center and Infoplaza”. The local Computer Learning Center advisory committee meets monthly to provide support for the Center, and to facilitate communication with the community. Members include Neris Quintana, Castula Prado, Betzaide Sanzhez, Evelin Prado, Sonia Caballero, Rufino Prado, Yaneth Ortega, Jose Diaz, Leticia Ortega, Hector Gonzalez, and Olivia Villareal. 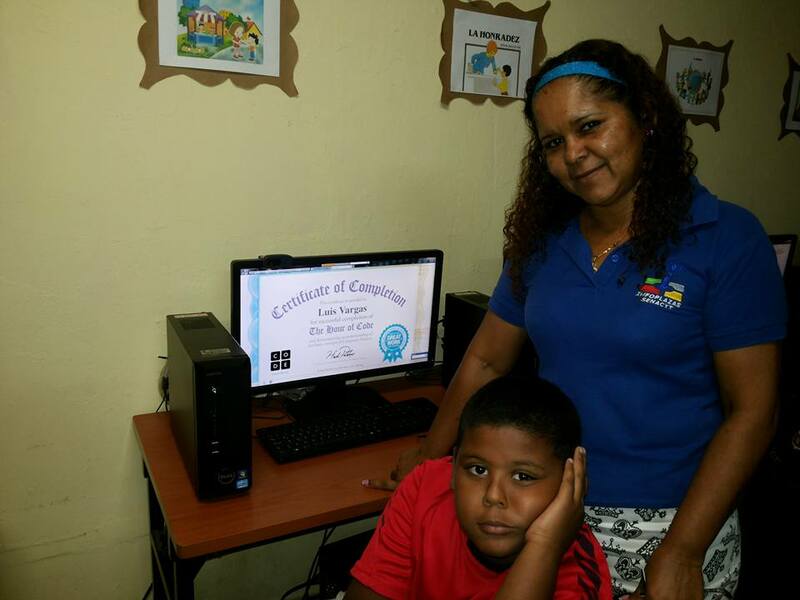 The Computer Learning Center in La Laguna has been so successful, that in 2014, the Foundation began pursuing a new location for a similar project. Based on community surveys, Paritilla was selected. Using the same model, Peace Corps Volunteer Diana Bennett worked with the community for 9 months preparing to open the Infoplaza in the school building. 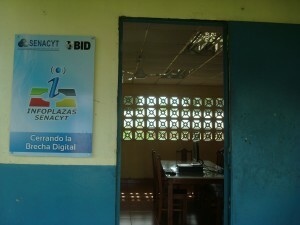 As before, we worked closely with MEDUCA, SENACYT, INADEH, and many local government officials. The Internet was connected and the Inauguration took place on March 30, 2015. 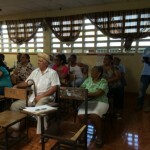 In the two centers, our administrators teach courses in computer use for children and adults, and collaborate with the school teachers to incorporate the use of the computer and the Internet with the school curriculum. They use software designed to teach advanced computer skills, including coding and web design, to children and adults. One of our students, a 12 year old, won 1st prize in a nationwide competition in coding. The center is used by other members of the community to teach courses on the environment, food preparation, and handcrafts. INADEH, the agency that provides training in vocational skills, provides various courses in our centers, including English, electricity, plumbing, accounting, and professional skills. Students from elementary through university level use the centers to complete schoolwork, and adults can take online courses and use the computers for personal needs. Since our model has been successful, we invite other computer centers and Infoplazas to participate in joint activities, such as competitions and science fairs, and assist them in incorporating more learning programs into their centers to become Computer Learning Centers. 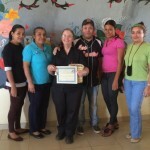 We have worked with the Center in Isla de Canas, a sea turtle protection area, and are currently working with the mayor of Pocri to introduce educational programs there.